DPA’s d:dicate™ and d:screet™ microphones are delivering clear and transparent sound in a venue infamous for its challenging acoustics. 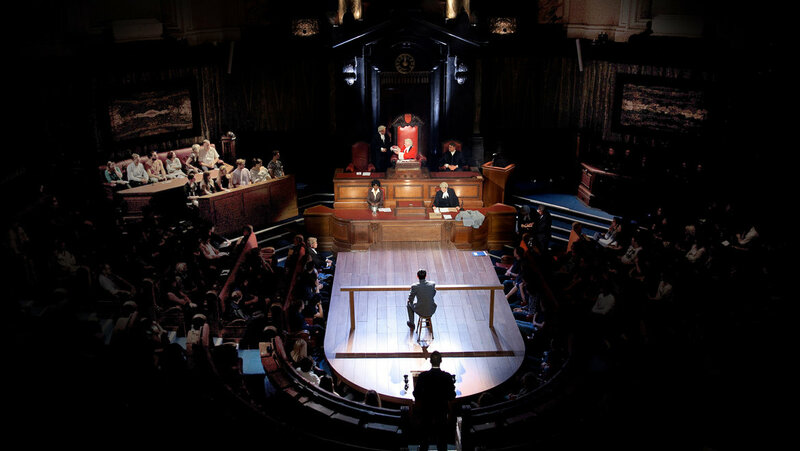 Setting Agatha Christie’s classic play Witness for the Prosecution in the debating chamber of London’s County Hall proved quite a trial for the production’s sound crew, who had to cope with a variety of issues – not least a notoriously difficult acoustic environment. Yet thanks to the judicious deployment of numerous loudspeakers and a selection of DPA microphones, the challenges were overcome so well that the play opened to four- and five-star reviews and plenty of positive audience feedback. 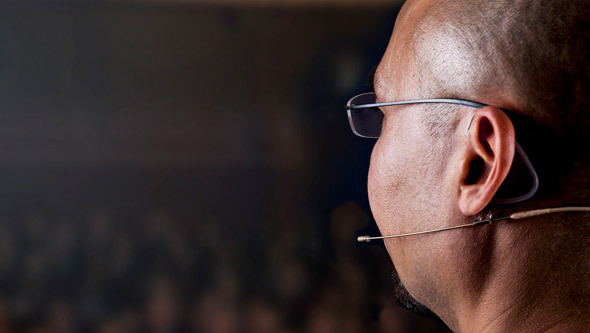 Tony Award-winning sound designer Mic Pool, who is responsible for the system design, speech reinforcement and the content of the play’s soundscape, is using four DPA d:dicate™ 2011C Twin Diaphragm Cardioid Microphones as the fixed microphones for the judge, witness box and clerks. 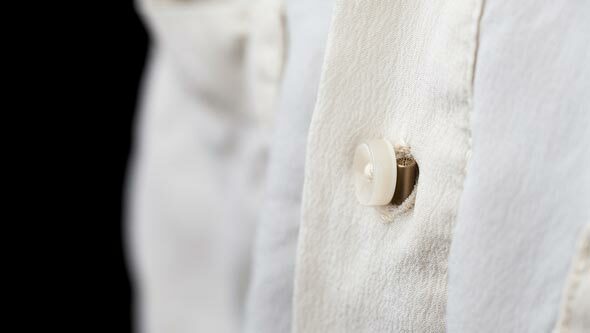 The actors are fitted with a total of 10 d:screet™ 4061 Miniature Microphones, which are hidden in their hair. The microphones and other sound equipment was supplied by Stage Sound Services – a company Pool often uses because they provide ‘excellent support’ and maximise what he can achieve within his budget. Pool has been involved in theatre sound for over 40 years and has worked across the entire scale of theatrical activity, from productions in the West End and on Broadway, to regional, fringe and community companies. He was recommended as the sound designer for Witness for the Prosecution by the play’s director Lucy Bailey, with whom he has worked on six previous productions. With its 50-foot high marbled walls, the debating chamber at County Hall is visually magnificent, but this has resulted in an acoustic entirely unsuited to speech; as far back as 1922 there were letters and articles in the press bemoaning the poor audibility of debates. 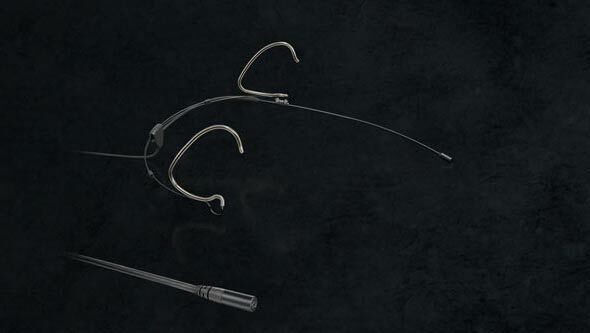 ​The principal challenge was to drastically increase the ratio of direct to reverberant sound. Pool tackled this by designing a system that uses over 120 loudspeakers. Pool adds that in this production the actors who play the lawyers are more mobile than they would be in a genuine court setting. "The 370 members of the audience are wrapped around the acting area, both at floor level and in three high galleries, so they need to move freely in order to play to all these seats”. For them, and for all actors in other scenes, which are performed on a thrust stage in the centre of the room, Pool is using d:screet 4061 Miniature Microphones in conjunction with wireless transmitters. “I have used d:screet™ 4061s on most productions I’ve designed in recent years as they work well in a variety of positions on actors’ heads,” Pool says. 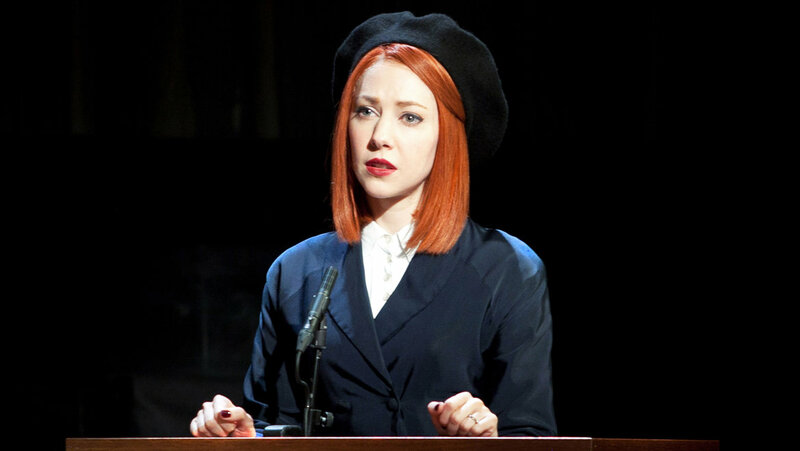 “This is very important for this production because we are coping with hats and legal wigs, so we have to find positions that give good results for all these scenarios without resorting to excessive equalisation. The closest members of our audience are less than a metre from the stage so we bought the microphones in beige and they were expertly camouflaged using paint marker pens to precisely match hair and skin tones and patterning, by sound engineer Phoebe Jean Gosling so as to be practically invisible to the audience. To further enhance the clarity of the reinforced sound, the production is mixed line by line by Sound Operator Henry Harrod so that generally there is only one microphone live at any time. 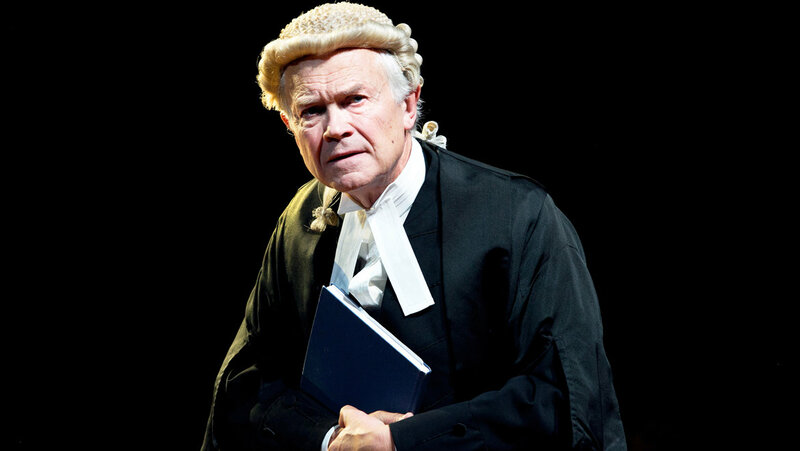 Adapted from an Agatha Christie short story, Witness for the Prosecution details the trial of Leonard Vole – a man accused of murdering a widow to inherit her wealth. The original play premiered in London in 1953 and was described by Christie as ‘one of my plays that I like best myself’. This particular version premiered in October and runs through to March, 2018.